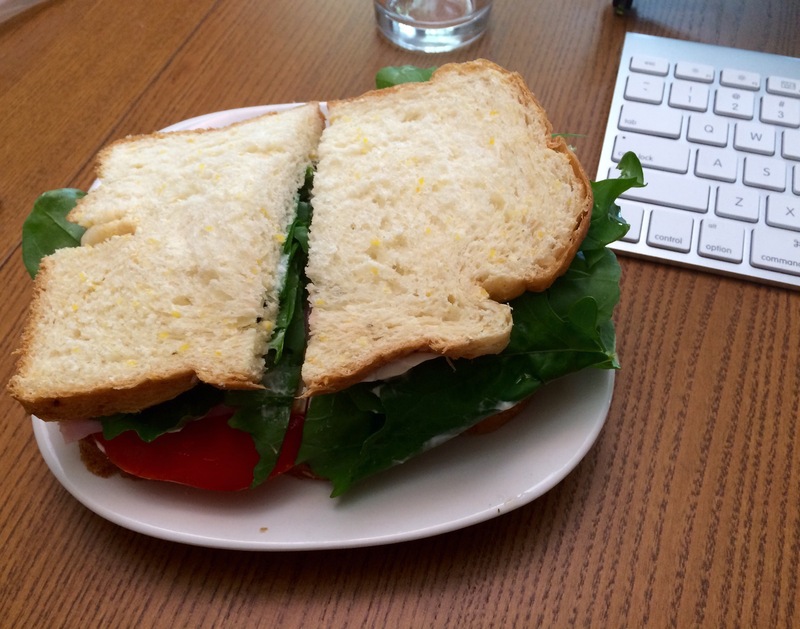 I really love being able to walk out my front door and pick a handful of arugula to put on my sandwich. And that I made this bread yesterday. Yum.